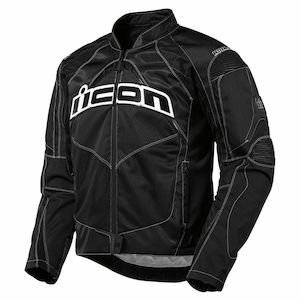 Jackets from Icon are an edgy motorcyclist’s dream. With a wide-ranging set of colors, styles, fits, and functionalities, Icon Jackets are among the most popular in the business. Known for their unparalleled attitude and unruly ethos, Icon Jackets are almost as gnarly as the motorcyclists who rock them while on and off the bike. From ardently focused sportbike jackets to off-road and casual style as well, Icon offers a badass Leather, Mesh or Textile Jacket to hit just about every segment of the motorcycling industry -- and they hit it hard!